How does the Matterport Platform compare visually to open platforms that use 360º photo spheres? 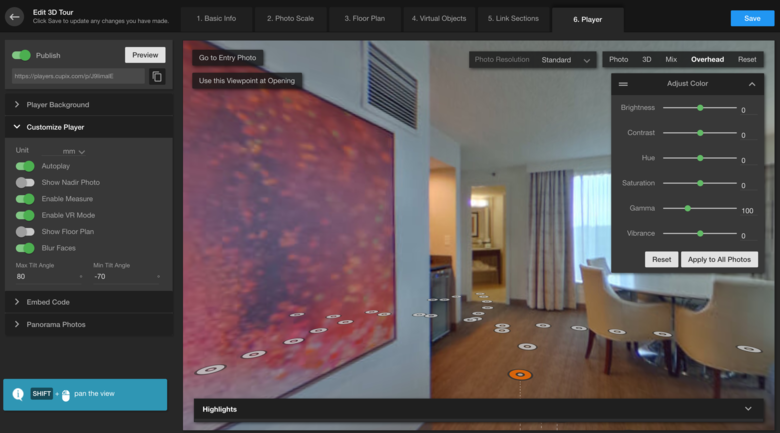 This Dropbox contains 360º photos spheres shot about every two feet of this hotel suite that I also did the Matterport Spaces 3D Tour (above). I also included some still images shot with my iPhone and some Matterport Snapshot images. The 360º photo spheres were shot with a Ricoh Theta S set to HDR. If you agree to post your test results to this discussion - or a new discussion in the WGAN Forum - Private Message me for the Dropbox password. P.S. 50 MPH winds expected shortly in Atlanta (Monday, 11 September 2017. My wife and I are riding out IRMA in this "living room suite" this week. I did the Matterport Spaces 3D Tour - and 360º photo sphere shoot - yesterday before my wife headed over to the hotel. I am still of the opinion, that with joined forces we could build an open fair and better solution. There are no open platforms that automatically map panoramas in a 3D space and create transitions that simulate distance. The way for an open platform to exist would be a web based tour maker that like Matterport is based on Three.js. The tour could operate on a 2D plane IN 3D and the UI would allow panos to be placed on a map. The final outcome would look similar to Google Street View. By the way, here's a link to the Matterport Space created with WP3D Models Wordpress Plugin. I used the "long" video generated automatically by Matterport. Among the reasons that I WP3D Models is that you can have a looped video play and when you hit the play button, you go to the Matterport Space. Note that there is an opportunity to adjust the color and other settings (I did not make any changes). 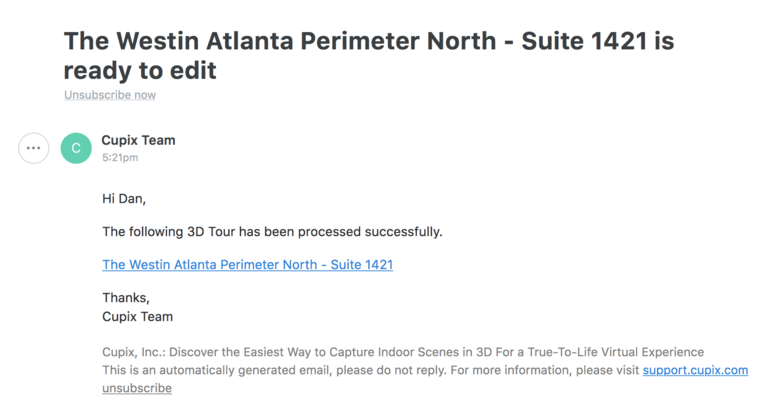 It took a couple hours after the upload for the 3D Tour to be available.